Bali is a tropical island in Indonesia with beautiful landscapes. Mountains, beautiful beaches and world-class diving make it a paradise for many travelers. 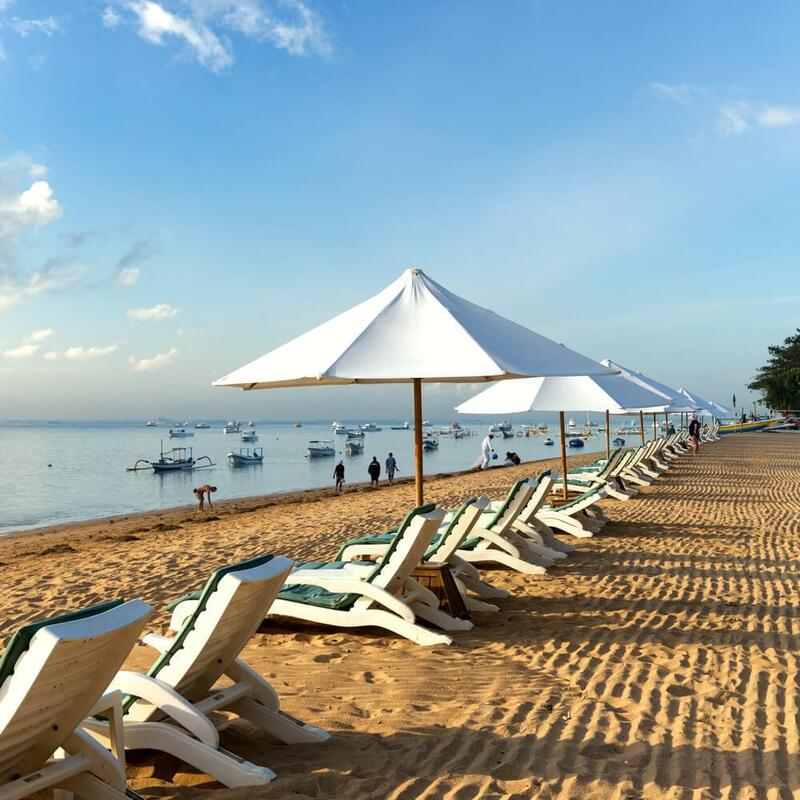 Accommodations and food on the island are quite reasonable, but Bali is far away and very popular with tourists so airfare can cost $1,500 or more. But miles can get you to exotic destinations like this for next to nothing. The bad news about flying to Bali on miles is that there are no direct flights from the U.S. The good news is that there are plenty of options. If you want the easiest way—with one short layover—you should use American Airlines AAdvantage miles on partner Cathay Pacific. After you find availability in both directions, write down the flight numbers and the dates and call American Airlines to complete the booking. An economy roundtrip ticket will cost you 70,000 miles, business class, 110,000, and first class, 135,000. If you have a lot of AAdvantage miles, you might want to experience the legendary Cathay Pacific premium-class service before upcoming devaluations.Do not ask the agent to book these segments separately or you will end up paying for each. If you do not have American AAdvantage miles, but have US Airways Dividend miles, you can still book this flight since US Airways is also a member of the oneworld Alliance. No AAdvantage or Dividend miles? Airlines from all alliances fly to Bali, so getting there is not hard. But you may have two connections. If you have United Mileage Plus miles you can fly on one airline or any combination of partners. The cost is 80,000 miles per roundtrip. Below are the airlines from SkyTeam that fly to Bali. Use them if you have SkyMiles. Delta tacks fuel surcharges onto many of its partners. The roundtrip cost is 80,000 miles. Its always nice to have choices.